Released 1998; discontinued November 2002. 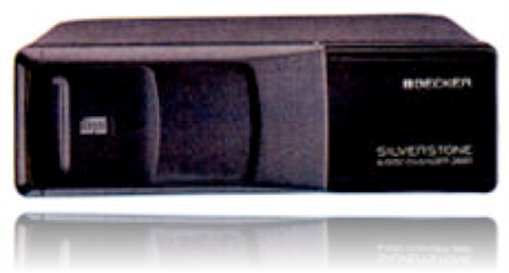 The Becker Silverstone 2662 Six-CD Changer was designed to integrate with the Mercedes-Benz Audio 10 & Audio 30 Command Radio units. It links direct into the fibre-optic connection; with an adapter if the factory loom is already fitted; or with its own full length cable. � Dimensions 9 7/16" x 2 11/16" x 7 11/16"